Beautiful light, a magical capture! I'd frame that! The best kind of diamonds! Stunning with the dark background. 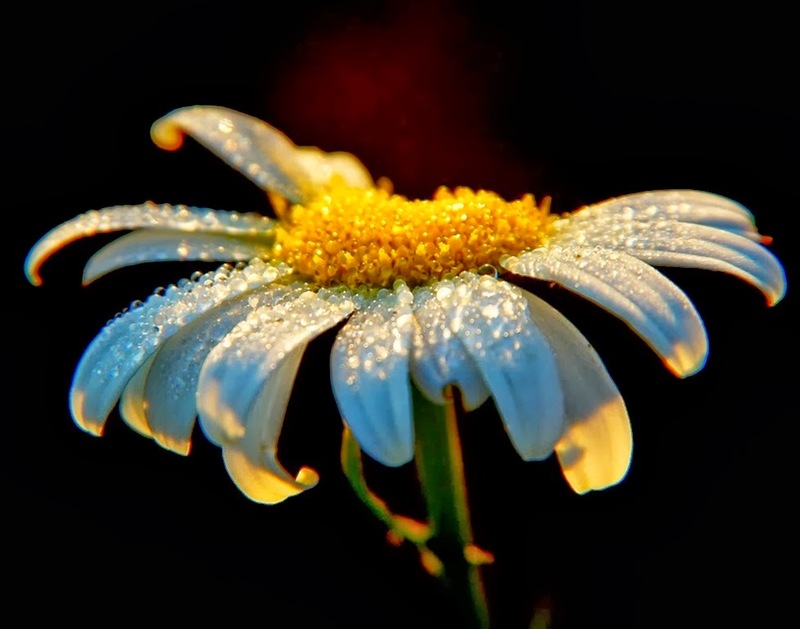 HI Mist Stunning shot of daisy against dark background. Wow -- that's so pretty! Such a lovely macro shot! The details of this flower and the drops are amazing.